Objective. The standard pterional approach has been used to approach aneurysms of the anterior circulation and the basilar tip, suprasellar tumors, cavernous lesions. The senior author (JH) established a lateral supraorbital approach as an alternative to the pterional approach after continuous trial and error. We describe the techniques of this approach based on clinical experiences. Methods. The lateral supraorbital approach is more subfrontal and anterior than the pterional approach. 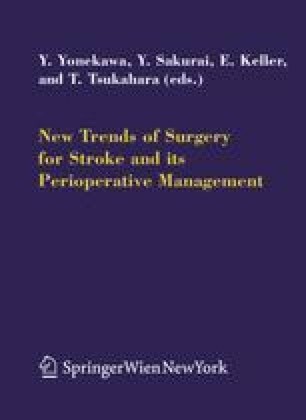 This approach has been regularly used by the senior author (JH) in the last decade in more than 2000 operations for mostly aneurysms of anterior circulation, but also for tumors of the anterior fossa and parasellar area as well as the sphenoid wing area. Results. This approach can be used to operate on most cases, in which the classical pterional approach would be used. There are almost no craniotomy-related complications with this approach. This approach is not suitable in certain lesions which need to be exposed from a more temporal perspective. Conclusion. This approach is simpler, faster, safer and less invasive than the classical pterional approach.